Dallas TX Copier Sales, New & Used Copiers, Office Copy Machines - Copier Sales Dallas Tx, Copier Supplies, Copier Service, Copier Rental, 70% off Dealer Costs. - Inventory of Parts & Equipment in Our Nationwide Network of Warehouses. - Reputation for Delivering World-Class Service, Excellent Customer Care, & High Standards for All Your Office Needs. - Cost Effective Service Plans. Our Quality Equipment and Reliable Service have Helped Us Establish a Loyal Customer Base with a High Trend of Repeat Business, Making Us Who We Are Today! Not Only Will You Find Low Prices and Reliable Service, We also Offer Reasonable Financing Programs and Rent to Own Options. No Matter Where Your Location. JVZ Copier Sales Wants to Make Sure You Get the BEST Deal On All of Your Digital Imaging Equipment, Services, & Supplies! as the Source for a Large Selection of Brand Name Office Machines. & Faxes to the Latest in High Tech Digital & Connected Multifunction Technology. JVZ Copier Sales has the Right Solution for You & Your Office or Business. We are Committed to Being the Most Reliable Copier & Printer Service Provider Around! We Consult, Service, & Supply All of Your Office Document Needs. Our Services are Unmatched in the Industry. Clients Who Do Business with JVZ Copier Sales know they are getting a Great Price! We are Able to Offer the Most Competitive Prices to Our Customers. We have the Expertise and Coast to Coast Coverage Necessary to Meet All of Your Office Needs. 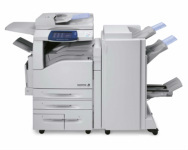 Copiers, Printers, Scanners, Fax Machines, Sales, Service & Supplies. We Do It All! and High Standards for All Your Office Needs. Our Company Maintains Only the Highest Standards When Dealing with Our Customers. Our Breadth, Scope, and Depth of Service Attract Many of America's Fortune 500 companies. Proudly Servicing Equipment in the Dallas/Ft. Worth Metroplex & Sub-Cities. Click Here to see our Coverage Area for Service! Out of State? Not a Problem. JVZ Copier Sales can have Equipment & Supplies Shipped Anywhere!